Recently, in an opinion authored by Justice Sotomayor, the U.S. Supreme Court released its unanimous decision in Clark v. Rameker, holding that individual retirement account (IRA) funds that a Chapter 7 bankruptcy debtor inherited from her deceased mother are part of the debtor’s bankruptcy estate and are not protected from liquidation by the Trustee to pay her creditors. The Supreme Court upheld the Seventh Circuit’s decision disallowing the exemption, by finding that inherited IRAs do not share many of the same important characteristics of non-inherited IRAs and thus, unlike non-inherited IRAs, are not exempt from liquidation pursuant to the Bankruptcy Code. The applicable provision, 11 U.S.C. § 522(b)(3)(C), states that a debtor may exempt “retirement funds to the extent those funds are in a fund or account that is exempt from taxation” as set forth in the Internal Revenue Code. According to the Court, the central distinctions of inherited IRA accounts are that, unlike non-inherited IRAs, the beneficiary of the inherited IRA cannot continue to invest funds into the account, IRS tax rules require withdraw of funds from the account after it is inherited, it is possible to completely drain the account upon transfer, and the withdraws, or complete liquidation, could occur long before the transferee’s retirement age. The Supreme Court’s decision resolved a circuit split, as the Fifth Circuit had reached a contrary holding in In re Chilton in 2012. 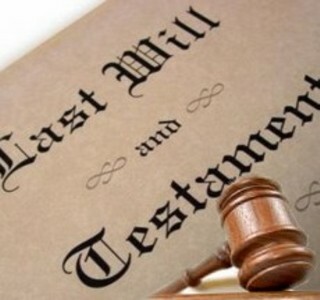 It is important to note that “inherited” IRAs are different from “roll over” IRAs, and IRAs that are bequeathed by a deceased spouse to the surviving spouse. Those accounts may still be exempt pursuant to 11 U.S.C. § 522(b)(3)(C), because the IRS rules governing these types of more traditional IRAs do not necessarily exhibit the characteristics highlighted by the Court in Clark. It is also worth noting that some inherited IRAs may still be exempt pursuant to various state exemption schemes, depending on the language of the applicable state exemption statute. Although most bankruptcy attorneys outside of the Fifth Circuit were probably already cautious in advising potential bankruptcy clients with funds in inherited IRAs, but this is another reminder that extremely careful pre-bankruptcy asset determination and planning is certainly a must. This entry was posted in Uncategorized and tagged bankruptcy exemptions, bankruptcy law, inherited IRAs, U.S. Supreme Court on June 30, 2014 by kjones.